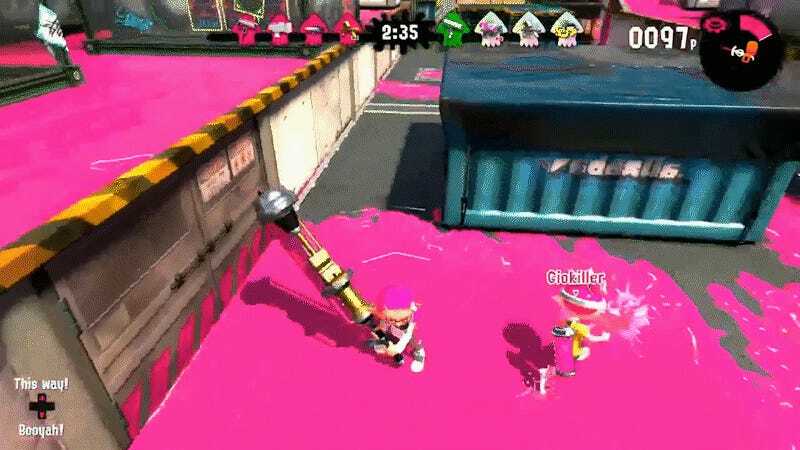 We have often espoused the virtues of inking your spawn in Splatoon 2's Turf War mode, but rarely do you see dedication like player “Giokiller” exhibited in one match. Clipped by Twitch streamer HeyItsBigfoot during a regular match, Giokiller seemed hellbent on not just generally inking the spawn, but covering every square inch. It’s a little cathartic to watch every blot of uncovered surface area gradually painted over in pink. Though this certainly merits a discussion about securing the middle area of the arena and then covering your spawn, I can’t begrudge Giokiller of a job well done. That spawn coverage is nigh immaculate. HeyItsBigfoot noted in a reddit post of the clip that their team went on to win 51.3 percent to 44.1. Maybe it’s time to upgrade to an AeroSpray for a little more efficient ink coverage, though. Either way, keep doing you Giokiller. Spawns are better off for it.